Human habitations have changed form and style in congruence with the evolution of mankind. Our immediate challenge in terms of physical space due to rising shortage of land has led us once again to the threshold of redefining our dwelling. 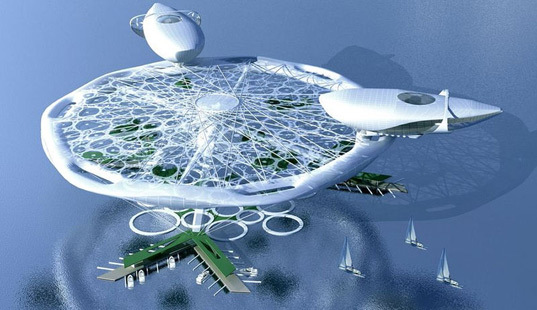 Here are some of the most interesting floating structures, a possible abode for our future generations. Designed by Alexander Asadov, the Aerohotel features an elegant floating island that sits atop an equally stunning support system. The support system of the structure ensures that tons of gravel doesn’t disrupt the peaceful aquatic sea life. Habrá que construir ciudades flotantes y aéreas lo más rápido posible. Deben ser simples y económicas… Mi cordial saludo.